Help fund something spectacular this Christmas! The Theatre Arts Society at the University of Essex are fundraising to make the annual Christmas pantomime more spectacular than ever before! The production team consists of one writer, two directors, two choreographers, two musical directors as well as all of our fantastic production designers that are making our set, lighting and sound plans. Oh, yes, and of course our wonderful cast of twenty-four who add the charisma and energy into what looks set to be an absolutely fantastic Christmas panto! 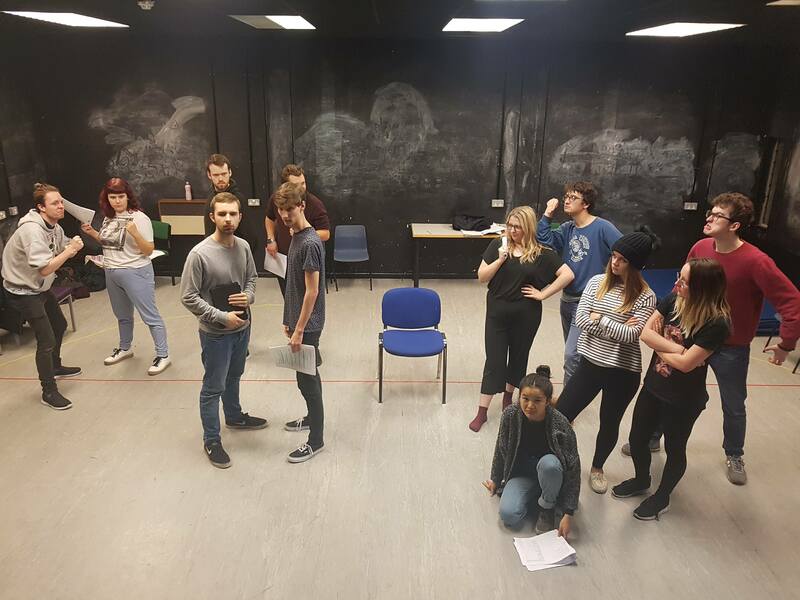 The Theatre Arts Society is a welcoming society on campus that year after year, sees new people join and take part in all it has to offer. The Christmas pantomime is arguably the biggest show of the year and caps off the academic year for many students here at the University of Essex. Not only student come however, with the ever-growing list of people joining onto the Lakeside Theatre's membership scheme, we feel we have a responsibility to show them what our pantomime is all about and to keep people coming back year after year! We're fundraising to be able to afford the best possible set, props and special effects that we can. We're talking glitz, glamour and of course, with your funding, some confetti explosions at the end! The project is particularly important as we want to really help cement the Theatre Arts Society's place on campus and continue it's ever-welcoming presence to all who are looking to try someone new. People make friends, get to perform and ultimately get a taste for something brand new whilst at University, and without fundraising, a lot of what we do may not be possible. Your money would help to sustain a completely individual experience for those in the show and those watching. We want to make this the most impressive pantomime yet and for you to feel like you've been a part of making this happen. Our preliminary budgeting leaves us a little short of all of our total costs, and this is where your help will come in! Check out our rewards section to see what you can receive if you help fund our project! If you help us with a donation of £3, you will receive a mention on one of the Theatre Arts Society's social media accounts! If you could be so kind as to donate £5, we would love to give you a mention in the next Theatre Arts Society newsletter, which is created by the Secretary, Tyler! A £10 donation will entitle you to a personalised thank you from the creative team! We would be more than happy to send a thank you letter through the post! If you pledge £25 to our pantomime then you will receive one free ticket to the show of your choosing... how could you say no?! If you are feeling extremely generous and want to donate £35 to our project, then we would love to buy you one free ticket plus a drink for the show of your choice!